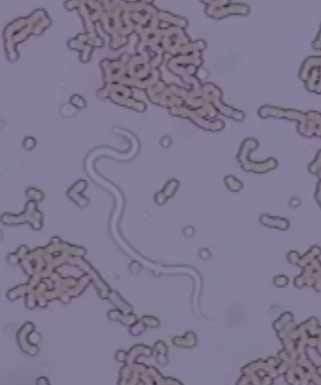 CHICAGO (July 22, 2013) – Evidence of preventive-resistant strains of Diofilaria immitis (heartworm) have been reported in new research presented at the American Association of Veterinary Parasitologists Conference held this week in Chicago. New isolates of heartworms from the Mississippi Delta region are capable of developing in adult dogs that are receiving routine monthly heartworm preventives. In consideration of this new information, the Companion Animal Parasite Council (CAPC) has reiterated its respected guidelines, advising veterinarians of the best course of prevention. “The new evidence confirming heartworm resistance underscores the importance of protecting pets year-round without gaps in prevention,” according to Dwight Bowman, MS, PhD, immediate past-president and CAPC board member. “Veterinarians also should continue to emphasize annual heartworm testing. In areas where heartworm is more prevalent or breaks are appearing, testing every six months is recommended.” The geographic spread of these resistant isolates has not been determined. CAPC parasitology specialists recommend veterinarians continue to prescribe heartworm preventives year-round. These products are still effective against many strains of heartworm and several control other parasites, including intestinal helminths, fleas and mites. In addition, when an infected dog is identified, prompt treatment with the approved adulticide, melarsomine dihydrochloride, is recommended. Treatment of heartworm-positive dogs should be immediate and aggressive, according to the newly revised CAPC guidelines offered to veterinarians. The ‘slow kill’ therapy sometimes prescribed is not recommended. It has been demonstrated that using the slow kill method of repeated macrocyclic lactone administration over a period of time increases the proportion of circulating microfilariae that possess resistance markers. CAPC will continue to monitor the evolving situation and modify recommendations to veterinarians as needed. CAPC guidelines, which are updated regularly, are recognized as the benchmark in veterinary medicine, creating standards for the optimal control of internal and external parasites that threaten the health of pets and people. For more information on the Companion Animal Parasite Council and to review the organization’s parasitology guidelines, visit the CAPC Recommendations page.